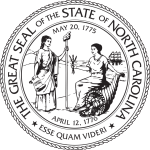 During Bill Lipscomb’s thirty-seven year career, he has handled a wide variety of civil litigation cases throughout western North Carolina and has developed a reputation for being very well prepared, highly professional and achieving excellent results for his clients. He has tried to verdict well over a hundred jury trials. Bill investigates his cases thoroughly, researches the law and develops a plan and strategy for every case in order to achieve the best possible outcome for the client. 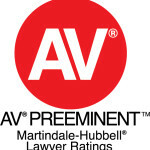 Bill has achieved the AV-Preeminent Rating through Martindale-Hubbell Peer Review Rating system, the highest rating given by Martindale-Hubbell for ethical standards and legal ability. Bill started his career representing defendants in personal injury cases and he continues to do that. Over the years he has accepted selected cases for plaintiffs (those filing the suits) in several practice areas, including personal injury, wrongful death, insurance claims and commercial/business losses. 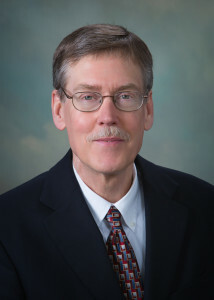 With significant experience representing both defendants and plaintiffs in civil cases, Bill is able to use his knowledge of his opponents’ techniques and strategies to achieve excellent results for his clients. Settlement negotiations occur in almost all civil cases, although some cases simply cannot be settled and must be tried. Because Bill prepares his cases so well, he can negotiate from a position of knowledge, strength and confidence which results in a better outcome for the client. Bill has been married to Ellen Coats Lipscomb for thirty-nine years. They have two sons: Jim is a computer animator in Cary, North Carolina; Peter is an ophthalmologist in Boone, North Carolina. Bill and Ellen are active members of North Wilkesboro Presbyterian Church. Bill has served on the Board of Directors of Wilkes Habitat for Humanity, Wilkes YMCA and Wilkes Adult Developmental Activity Program. Bill’s hobbies include exercise classes at the Y, hiking and tennis.